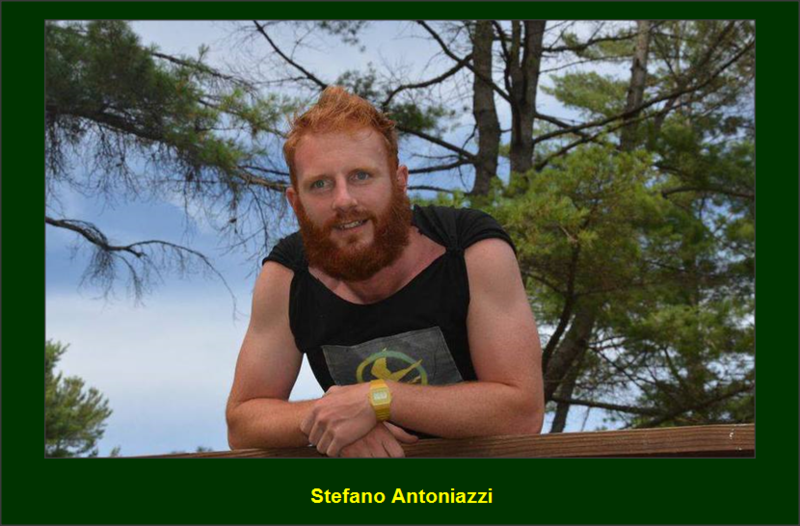 Stefano (“Stef”) originally hails from Italy, and returns via Aberystwyth, Wales for his 5th summer at Camp Echo Lake. This will be Stef’s 2nd summer in the role of Senior Village Program Director after spending his first three summers as the Head Soccer Specialist. Stef works very closely with Jon O’Brien, Kersti Kienitz and Brenda Levine to organize the days and nights in the Senior Village. During the off-season, Stef works as a teaching assistant at the elementary school level. Since earning his degree in Sports Coaching from Cardiff University in the UK, Stef has earned is UEFA B license (a level 3 soccer coaching qualification). He currently coaches in the Aberystwyth Town Academy and hopes to one day teach and coach in the United States. Stef’s claim to fame is that he was on TV as an extra in a hit television series where he played a detective. This will be my 5th summer at Echo Lake. Having completed my coaching degree in the UK, I wanted the opportunity to coach everyday, and I thought that camp would be a great place to do so. The unity that camp brings is unique. The way that everybody is invested in the camp ethos is what brings me back year-after-year. Echo Lake is a place where you can be yourself and be appreciated for the things that make you unique. I love the fact that you can celebrate your individuality while also being a part of the overall community. Due to the wide variety of activities offered at Echo Lake, every camper can find their niche and excel at something, while also expanding their horizons to try new things within the confines of a supportive community. I coach soccer and I also work with children in whatever capacity I can. This year I’m working as a teaching assistant in my old elementary school, which is something that I’ve thoroughly enjoyed. I’m a soccer nut! If I’m not playing or training, then I’m coaching or watching soccer on television. My Italian heritage has taught me to eat well, so I also enjoy a good meal! It’s so hard to narrow it down because there are so many, but I really love World Cup Soccer days. Seeing the kids compete with a competitive edge is awesome. I also really look forward to Special Days, which are definitely appropriately named. What I like best about those days is that the campers don’t know what’s coming and they are thrilled when they find out what’s in store for them. It’s a time for the kids to get creative, messy and act crazy with their fellow campers and staff members. I’d have to say that my favorite Special Day was last year’s Hunger Games Day. The campers had to complete mental, physical, artistic and hunting trials as they gathered points all day long. All of this led up to the Senior Village “Golden Fuzzy” tournament, which the kids absolutely loved! We ended the action-packed day by watching a film under the stars at the amphitheatre, which was incredible. One of my fondest memories occurred during my second year on the staff. The day had been washed out by torrential rain, leaving the kids cooped up and restless in their bunks. A couple of staff members and I got the idea to create a spur-of-the-moment activity by having a massive mudslide. We prepped the hill with water and soap, and it wasn’t long before the entire main camp was out joining in the fun. That defining moment showed me that camp is a place where awful circumstances can be turned into memories that will last a lifetime. The bad weather was beyond our control, but making it a great day for the campers was well within our reach. Another one of my favorite memories came from last summer’s Echomania event. Camp is a place where the weird and wacky are not only accepted, they are encouraged! I happened to grow a “kissed by fire” beard last year (see photo above). It ended up being the subject matter for a song written by a great group of guys. By the time that Echomania rolled around, the beard had definitely run its course, so we planned to have Tony Stein shave it off after our wrestling match. I awoke from my “unconscious” state (courtesy of a bucket of water to the face) to find my beard gone! I watched the tape back to see the crowd’s reaction and they were truly stunned because they had no idea that was going to happen. Rumor has it that the shaving of the beard elicited some tears from campers and staff members. Only in camp could such a visceral reaction happen from someone’s beard getting shaved!